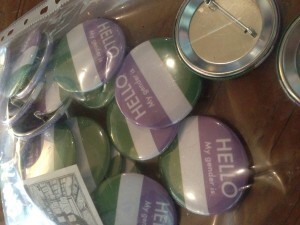 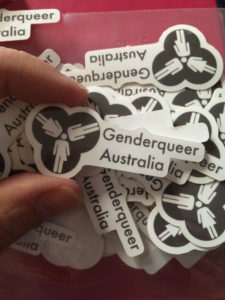 Are you lesbian, gay, bisexual, trans, gender diverse, intersex or not sure? 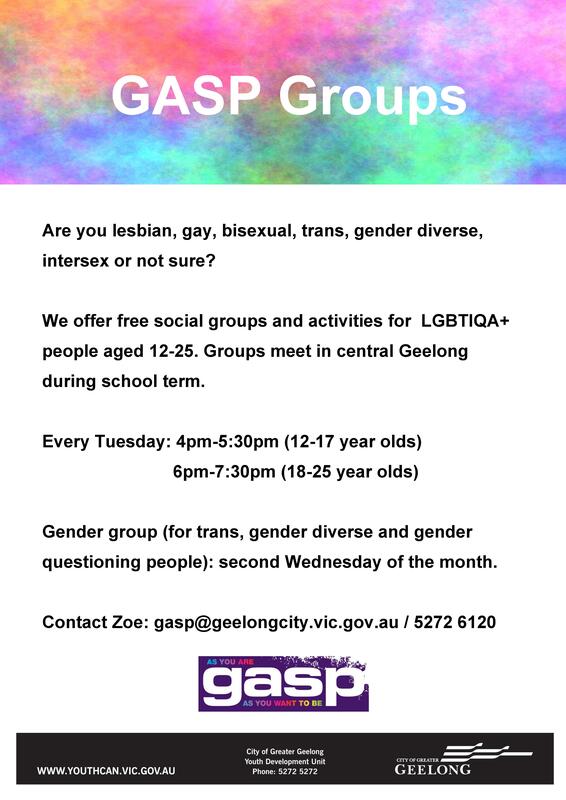 GASP Gellong offer free social groups and activities for LGBTIQA+ people aged 12-25. 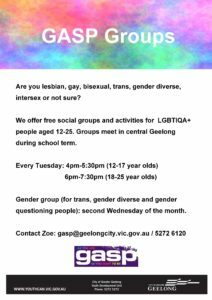 Groups meet in Central Geelong during school term.